Keep praying for that HTC Vive support though. If you’re more of the “Lock the doors, ignore the doorbell, and eat my own candy” type on Halloween, then Cyan has plans for you. 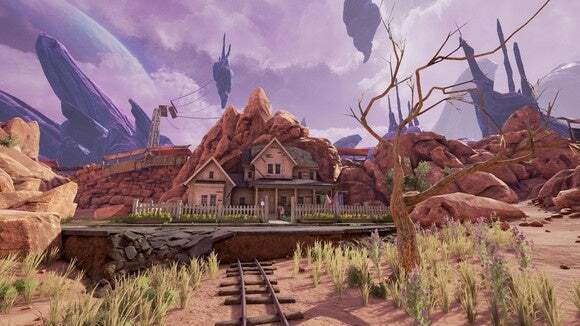 After a last minute delay, Obduction is finally getting virtual reality support for the Oculus Rift on October 31. I imagine that still holds true. In fact, after playing through the full game in August I can think of a few more places I want to visit in Obduction with the headset on, just to see what it looks like. Unfortunately Obduction’s VR support was conceptualized waaaay back in 2013, in the era of “sit-down-with-a-gamepad” virtual reality. That means no support yet for room-scale VR, whether using the Rift’s upcoming Touch controllers or the HTC Vive. (There's no Vive support at all actually, even sitting down.) Whether Cyan will get around to adding full VR support post-post-launch is anyone’s guess. Oh, and Cyan also points out that Halloween is the 19th anniversary of Riven, if you’re counting. Happy birthday, buddy. You make me want to tear my hair out, but I love you anyway.